In our Professional Scrum classes we also talk about the topics of User Stories, Planning Poker and (Daily) Stand-up meetings. Some attendants have never heard of it. Some have never practiced it. Some are convinced, or have been instructed, that Scrum says these are mandatory to do. I have grown my own little pattern to work with a class whenever we run into one of these topics during my classes. I start by asking what Scrum actually says on the practice. In general, people don’t know or are not sure, and conclude that Scrum says nothing about it. I ask where the practice then does come from, if it’s not Scrum. 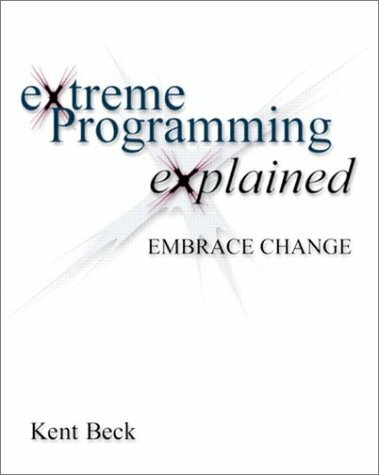 Few people know that it is eXtreme Programming. I end up by saying that, despite the XP origins, we do support them in many cases as they represent good ways to play Scrum, they are good practices to chose from. And that this is the reason why we cover them in the course; to inspire people with different options to play Scrum. User Stories, written on story cards, are the practice in Extreme Programming to hold and describe requirements from a user perspective. Bill Wake, author of ‘eXtreme Programming Explored’, suggested the ‘INVEST’ acronym as a simple way to remember and assess whether or not a User Story is well formed. A Scrum Product Backlog though serves to provide transparency to all work that a Scrum Team needs to do, which might be more than only functional requirements. The obligation, from Scrum, to use the User Story-format would endanger forgetting other important work to be undertaken, or it might force teams spending more time and energy on using the ‘right’ format, thus creating waste. However, for functional items on the Product Backlog, User Stories may be very good. Planning Poker was invented by James Grenning during an eXtreme Programming project where he suffered from having to spend much, much time on producing estimates. In Scrum, estimates are to be created by the Development Team and, although not mandatory, Planning Poker is a good technique to do that. It leads to more honest estimates from a complete team. But don’t forget that the intention is to invoke an honest conversation over the estimates. Because that results in a good understanding of the work attached to implementing the discussed item. Daily Stand-up are described in Extreme Programming, which recommended participants stand up to encourage keeping the meeting short. Scrum describes this meeting as the Daily Scrum, but doesn’t oblige to do it standing up. However, it is a good idea to do, especially to keep the time-box of 15 minutes. That is often a relief to students, knowing that it is not mandatory. And I am glad I can help people. I am glad they see more opportunities to discover their own best way to play Scrum respecting the intentions and design of Scrum. They see better how Scrum can help teams and organizations emerge their own process. These ways to play Scrum in teams’ specific contexts turn the selected good practice into best practices. Scrum, after all, can be called a ‘process’, but it’s a servant process, not a commanding process. This is in fact very popular thing – people tend do think that some practice is scrumish one, where it’s only a good agile practice, originated from xp or Kanban etc and Scrum Guide doesn’t even mention it. Which does not exclude it from use with Scrum. Thanks, Tomek. Scrum has indeed much less mandatory practices than many people seem to promote. Scrum does have the potential to wrap many practices. When done well, the result is still Scrum.